Aren't these soccer candy wrappers awesome! 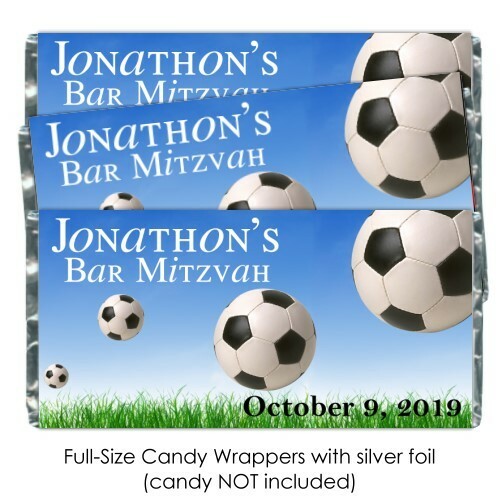 Or, for a one-time design charge of $15, let our talented graphic artist create a Bar Mitzvah candy bar wrapper around any theme you'd like (sports, Hollywood, casino, etc.). 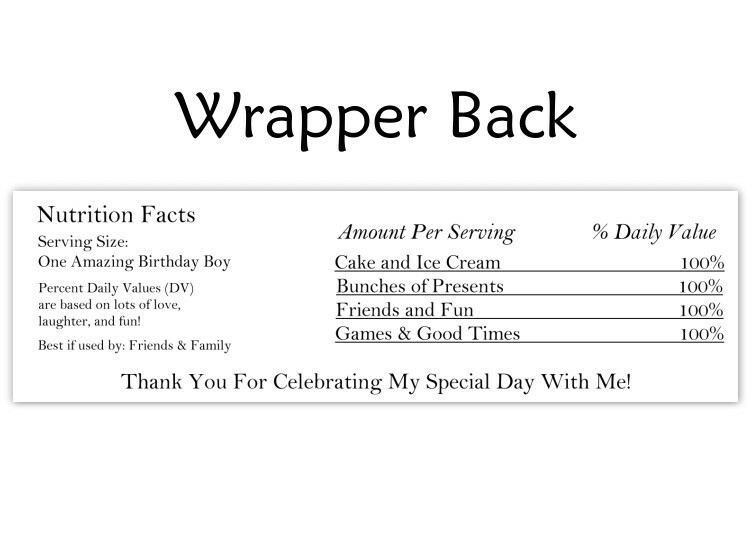 We will send you an electronic proof of your custom design for your approval before we print! (Proofs are provided only for custom orders).